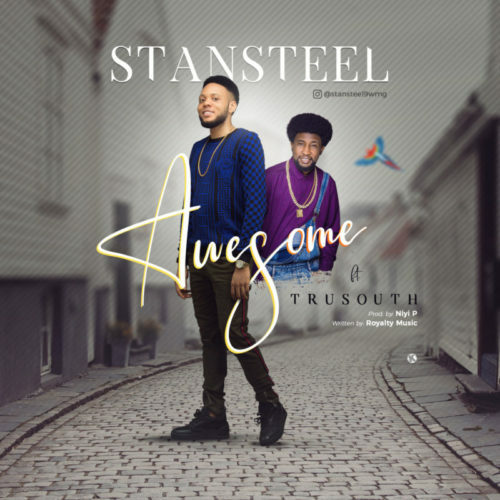 Checkout Stansteel – Awesome ft. Tru South new song. Gospel vocalist, Stansteel conveys a spirit motivating wonderful piece called “Awesome” including grant winning rap-evangelist, Tru South – who is additionally an individual from the BLW rap country. The new tune portrays the magnificence of God’s fluid love pampered on humankind and His astounding effortlessness. The song is the first song off Stansteel’s up and coming joint effort EP titled “A leap of faith”. Prod. by Niyi P.